The ancient god, the Crimson One, choose from James, three different aspects of his being – his feeling of guilt, his deepest desires and his most intimate memories. Why desires and memories? Memories where chosen because James feels extremely guilty for what he has done to his wife in the past, and because of the traumas that he suffered as a child. These are going to be explained in the next chapter. Desires where chosen because James desires to be with is wife again, and because the dream of having a child with Mary where destroyed by her disease and eventually by her death. Both these aspects where selected for they are the ones that most affect James. So, if all the characters are manifestations of James, then they all represent some different aspect of him and all of them fit under those three aspects that where mentioned before. The first secondary character that James meets is Angela, a person deeply wounded by a turbulent past. The abuses of which she was a victim of made her an insecure and emotionally instable person. 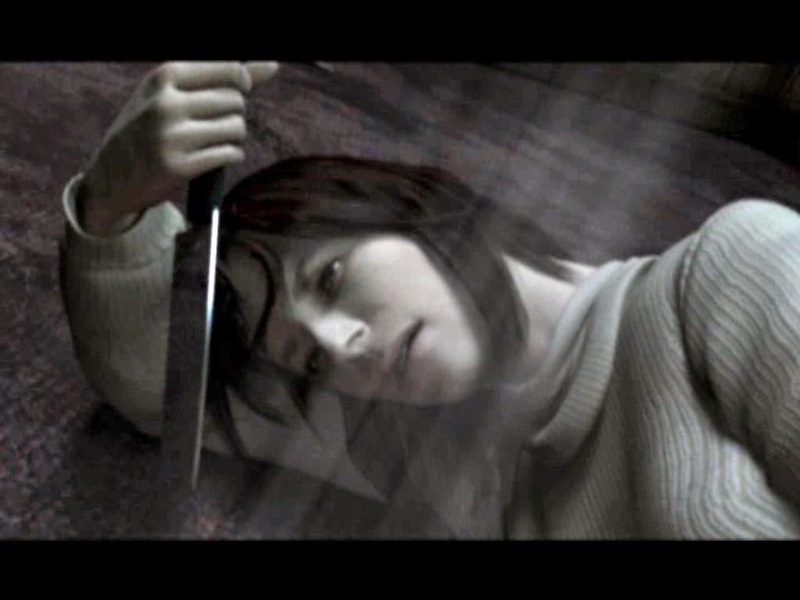 Near the end of SH2 we find out that she killed her father with a knife and that the memories of her traumas and of the crime torment her in Silent Hill. Eventually, it is given to our understanding that Angela commits suicide by immolation. The second character is Eddie, that due to his overweight is a victim of bullying, and sees his dream of becoming a football player, shattered. 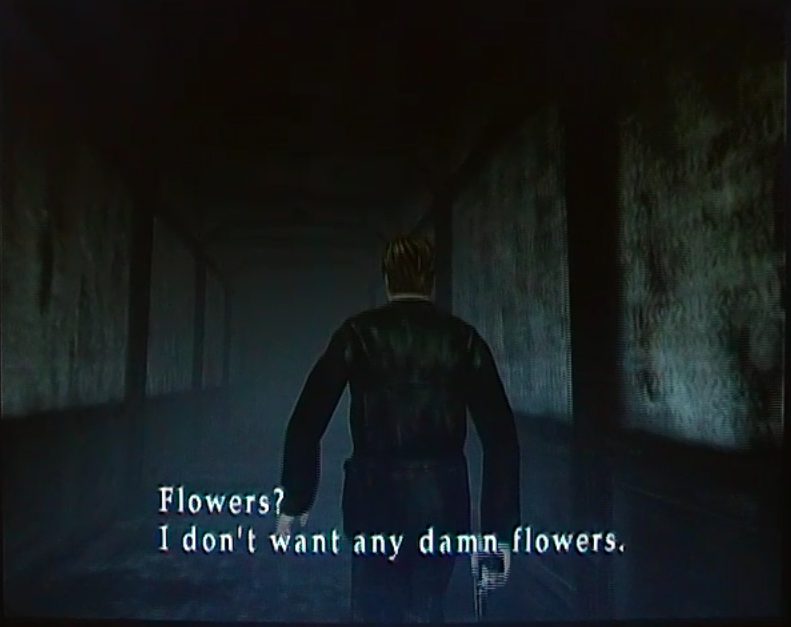 Eddie runs to Silent Hill in order to not be arrested by the authorities for having killed is football coach, and it is in the town that he lives a psicothic journey in which he is going to kill many more people. Eventually James is forced to kill him in self-defense. 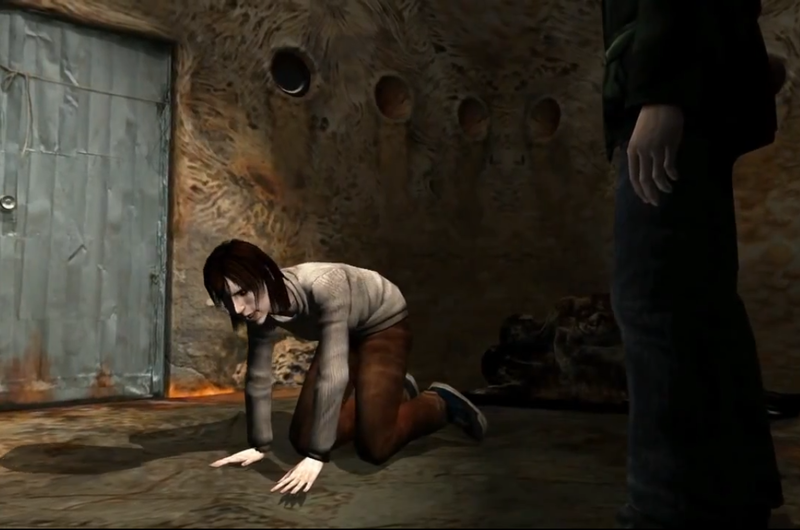 Laura is the third character that James finds in his journey. 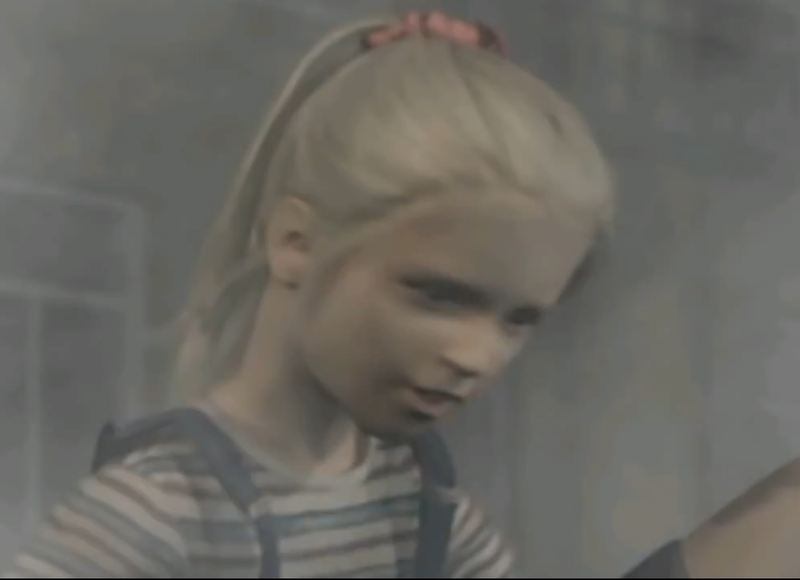 Laura is an eight year old child that seems to be in Silent Hill because she met Mary in the hospital and would like to see her again. 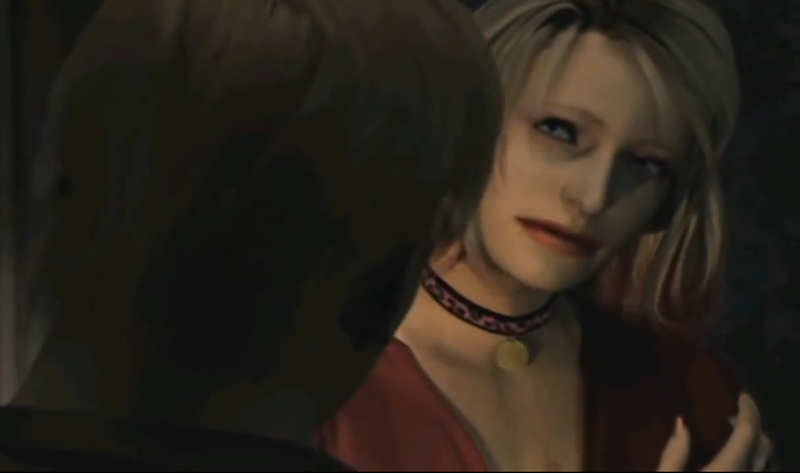 The fourth character is one of the most important in SH2 because she reminds James of Mary. Maria is her name and she’s very similar to Mary, except by her clothes and sassy manners. 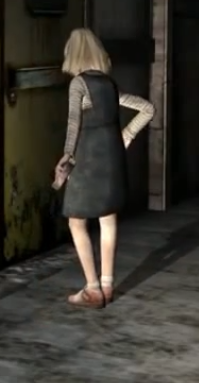 The personality of Maria is a mix between the caring Mary and a more sexualized version of her. Maria seems to feel a great necessity of being protected and she hates being alone. This makes James feel more close to her and makes all the times she dies extremely difficult for him. 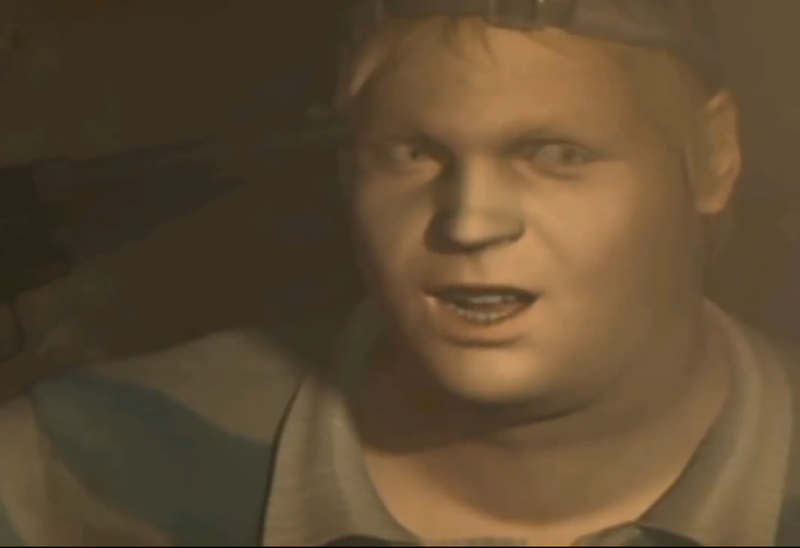 If Eddie is a manifestation of a part of James, does that mean that James was a psychotic murderer? If Angela killed her father does that mean that James killed his own too? No. 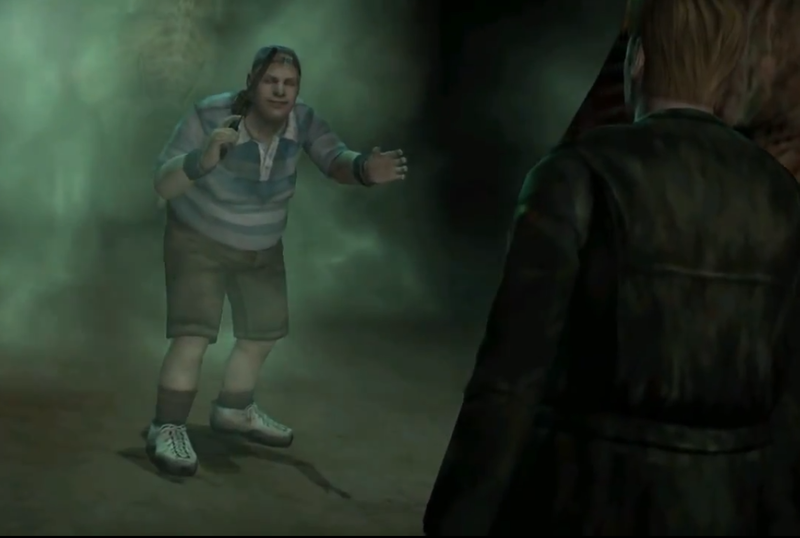 The stories that these characters tell and what they do in Silent Hill comes from the necessity of making them believable in the eyes of James and in the eyes of the player. The four characters where created by James’s subconcient to make him reflect upon some aspect of his own being and not to distract him from his already arduous journey to enlightenment. What really matters in these character are what they represent. Angela represents the traumatized and depressive side of James. 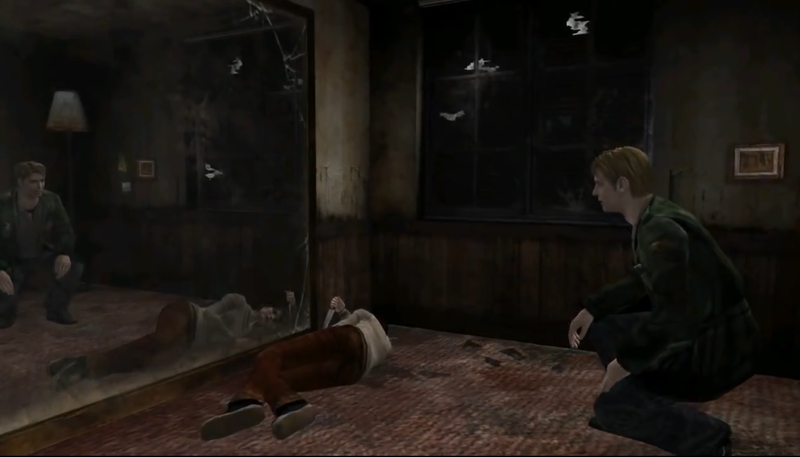 Eddie represents the impulsive side and the internal conflict that James feels from having killed Mary. Laura represents the desire that James had of having a child and Maria the desire of making time go back and nullify the crime he committed. 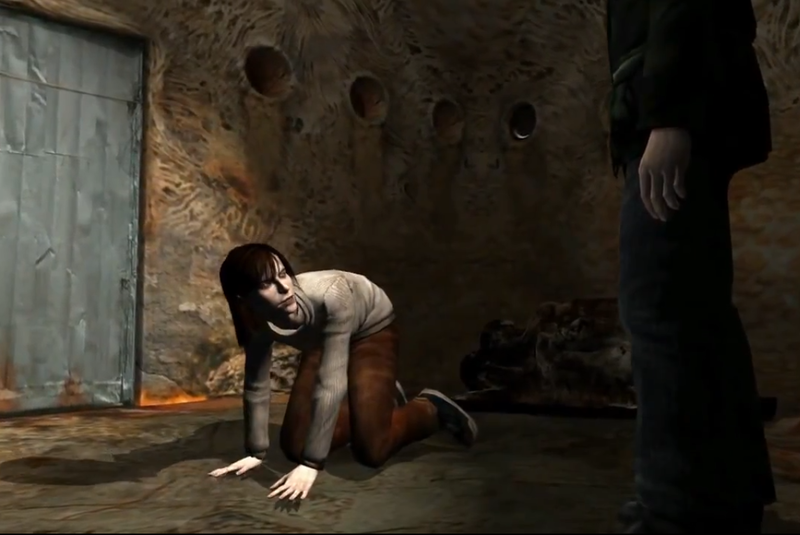 Beyond these four characters, there is also an entity that helps James by communicating with him through messages that it leaves in Silent Hill. The true identity of this character is never revealed but one can assume that it is a more human like manifestation of the divine entity that is helping James. The other not-so-human manifestation of this entity is known as the Red Pyramid Thing. 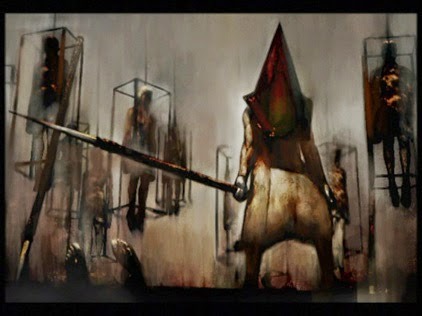 Its role in Silent Hill is to punish James for his sins but also to help him in the difficult task of understanding the truth, no matter what. Notice how the first time that we see the Red Pyramid Thing, that there’s a red aura around him making us associate that color with him right from the beginning. 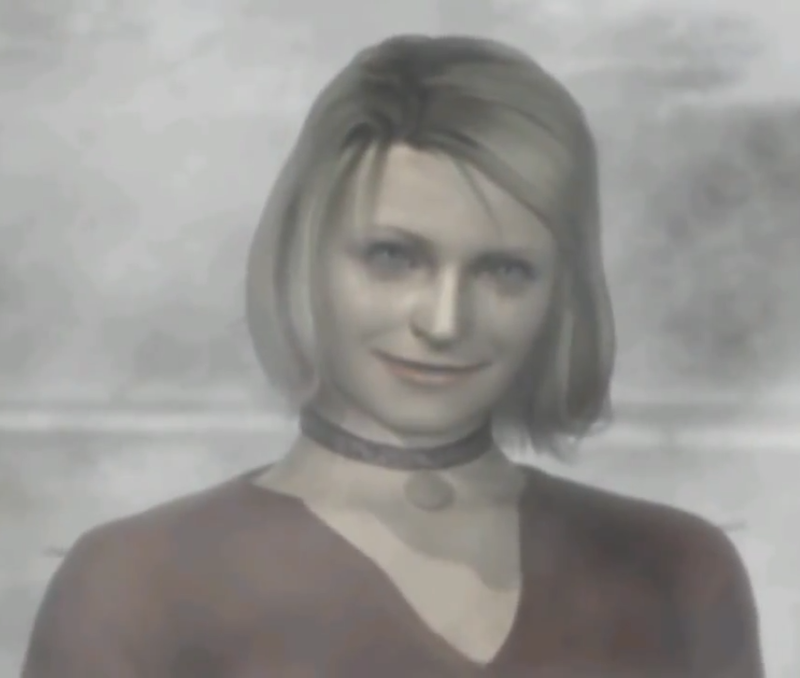 If this divine entity does not have a physical form and can assume whichever it thinks it’s necessary, then one can argue that all the characters that are present in Silent Hill are this divine entity. They are one and the same. Let’s start by looking at what is the most prevalent aspect of the Red Pyramid Thing, besides the huge pyramid on his head. It’s its color – red. Notice how every secondary character as a piece of cloth that is red. Eddie has red socks, which in all honesty are not very common among men. Besides that, notice how Eddie’s legs are positioned in this scene. The position is which he is in is not comfortable at all and it is not natural in the context of which it is presented. I argue that they are like this so that we can notice the color of his socks right from the beginning. 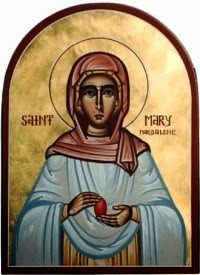 All the cloths of Maria are red or have red shades. And Laura has a hair tie and shoes that are red. I believe it is highly unlikely that the color red is present in all this characters by chance, especially when we take into account that this color makes a natural contrast with James’s green jacket. 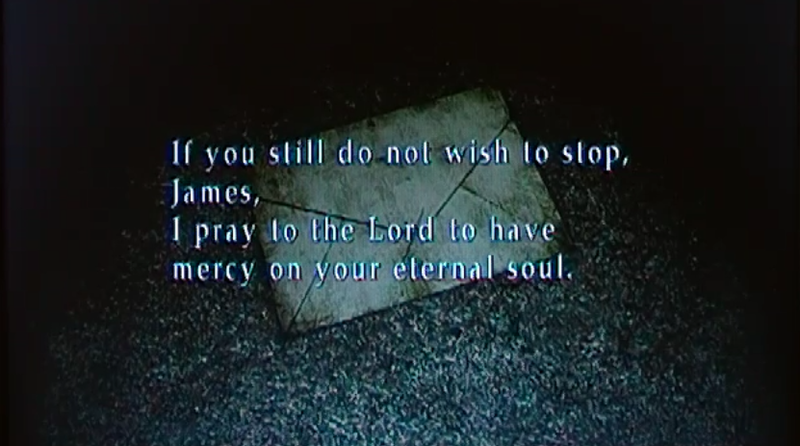 The presence of the color red is instead a message from the developers of SH2 that were trying to tell the player to associate the red color with all the characters, and by consequence, to associate them with the Red Pyramid Thing. 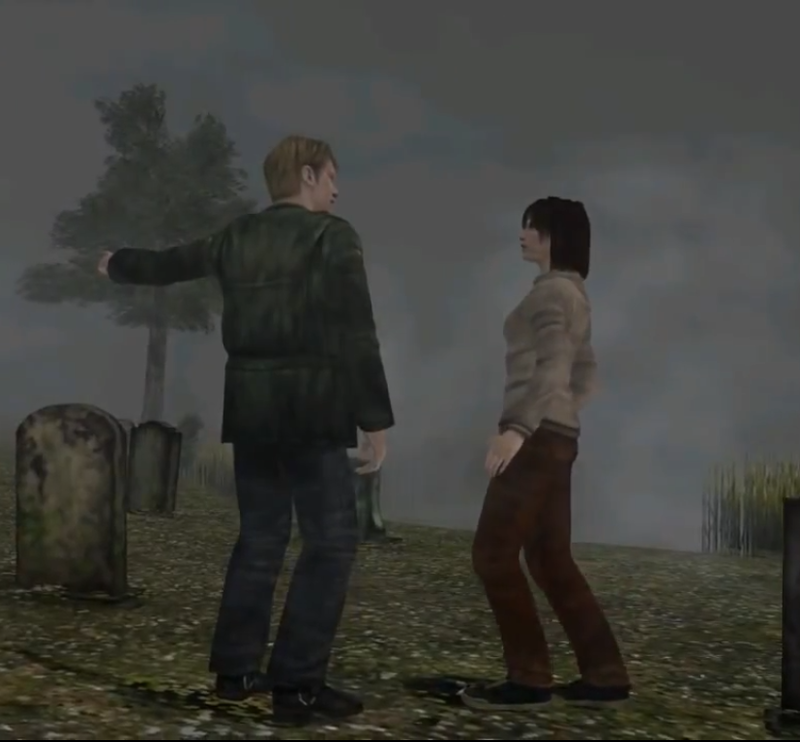 When we analyze the secondary characters with this new perspective in mind we can see that right from the beginning this divine entity has been questioning James about his intentions, and it as even warned him of the dangers he will face in Silent Hill. The first time that we see Angela is in the cemetery. Here she warns James about the dangers of the town but without firstly showing the correct path leading to it. James tells her that he doesn’t mind and that he will go there anyway because he is searching for someone very important to him, and that he would do everything to find her. The Crimson One takes note and comes up with an excuse for the presence of Angela in the town. Angela says that she’s there because she too is searching for a person but she can’t find her. This creates an automatic parallelism between James and Angela. 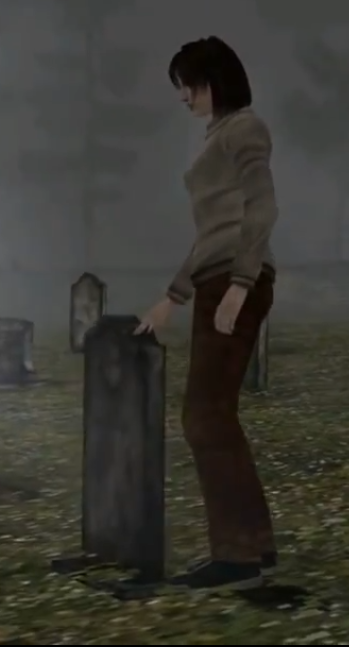 Notice how she subtly touches the tombstone revealing that both the person she is looking for and the one that James is, are dead. 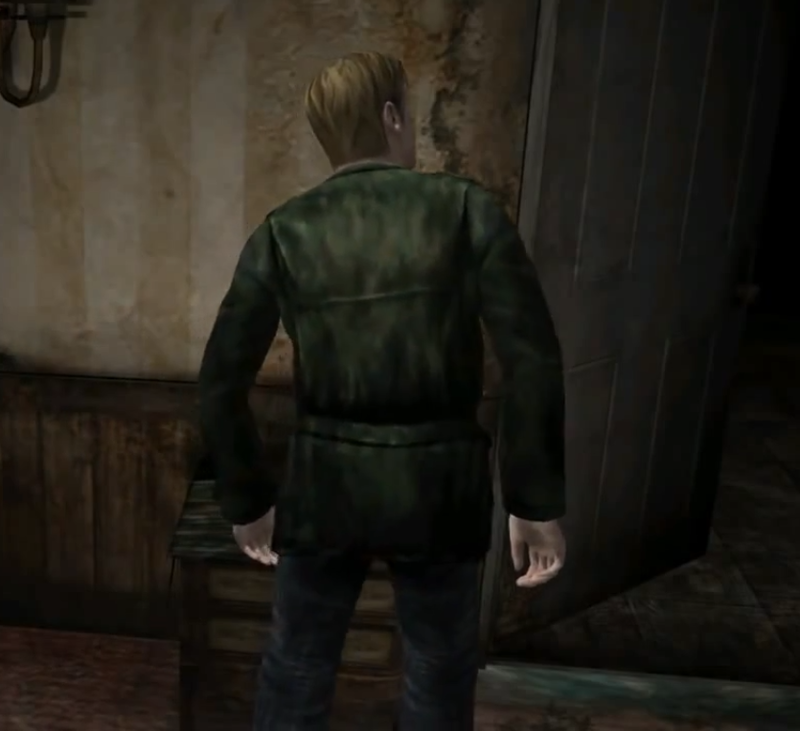 When James finds the Red Pyramid Thing in the apartment, this one does a strange movement with his right arm that many believe to be the way through which he navigates through the environment, a kind of echolocation. Instead, I suggest that RPT made a pistol ammo clip to appear inside the wardrobe where James is hiding together with a key. I propose that this arm movement is a representation of the divine origin of RPT and its powers, and not the way through which he orientates himself. 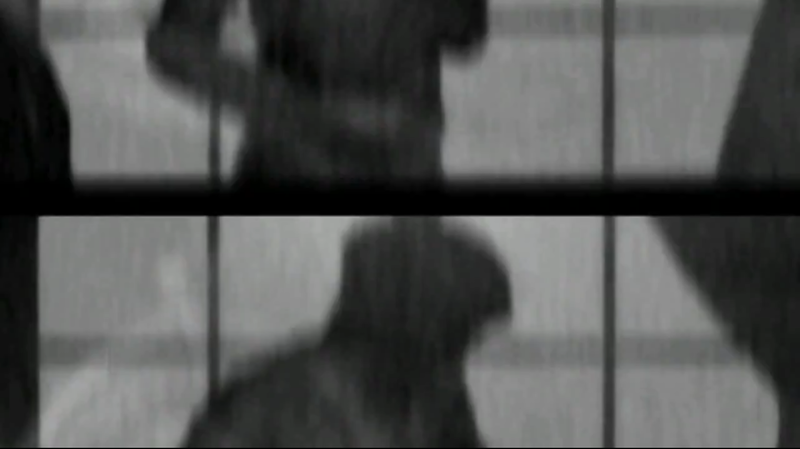 It’s important to notice that after James shoots him, he simply leaves the apartment when instead he could have easily killed James. He didn’t do it because that’s not the idea. RPT, like all the other characters, exist only to help James by confronting him with is guilt and not by kill him. Red Pyramid Thing? I dunno what you’re talking about. Honest. Notice the usage of the word honest. 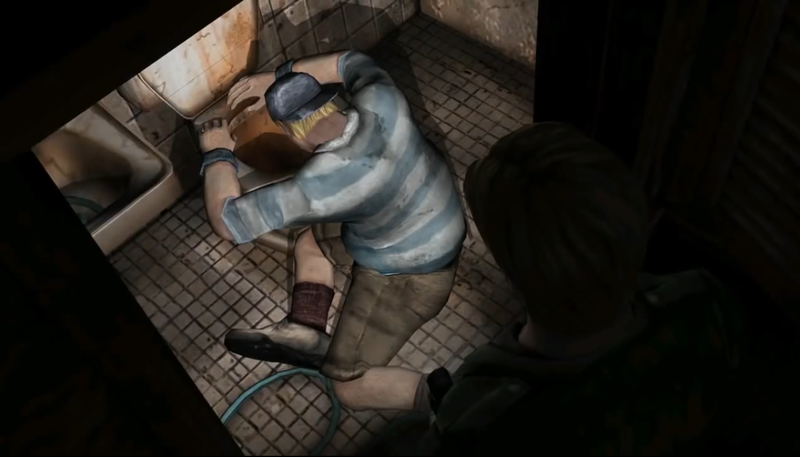 Later on in the prison, Eddie uses the same word when he tells James that the person he has just killed was already dead when he got there. In all reality Eddie knows the Red Pyramid Thing all too well because technically he is him, and the usage of this word is a simple clue to this fact. When James finds Angela for the second time, she is laying over a red carpet, in front of a giant mirror, holding a knife. That knife is similar to the one that the Red Pyramid Thing uses in the first levels of the game. The dialog between the two is, at the very least, strange. Angela doesn’t seem to dominate the basic act of verbal communication, or even the one of body language. This is a reference not only to the victimized side of her but also to the fact that the Crimson One, being of divine origin, does not know how humans interact with each other all too well. We can also have the slight impression that her story is being made up on the spot. Notice how she asks James how does he know that her mother is there, when he didn’t really knew that, and only suggested that hypothesis. After James tells her that he is looking for his dead wife, Angela decidedly gets up from the floor telling him only that she needs to find her mother. James offers to accompany her but she readily refuses. No human being in the present situation would do something like this unless they weren’t in any actual danger at all. It is true that due to the explanation of James he does seem like creep but I don’t think that that’s the reason why she left like this. 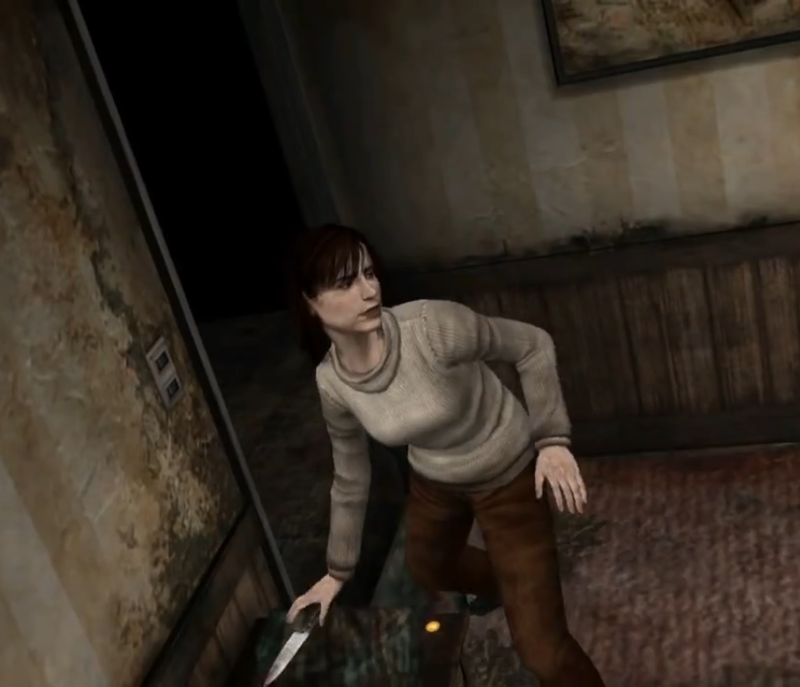 Notice how when James tries to retrieve her knife that she screams because she thinks he is going to attack her, however she leaves the knife in the room like nothing happened. If she really though that he was going to attack her she would have run away yes, but taking the knife with her. Look at her body language when she leaves the knife in the table. She doesn’t even leave the room running but walking in a fast pace. It suggests that she actually wants James to keep the knife and all that talk was an act by her part. For her to be gone that fast she would have had to flee pretty quickly and we don’t even ear her footsteps or the exit door opening or closing. This further suggests that she isn’t a real person but a supernatural entity that simply vanished form the room. 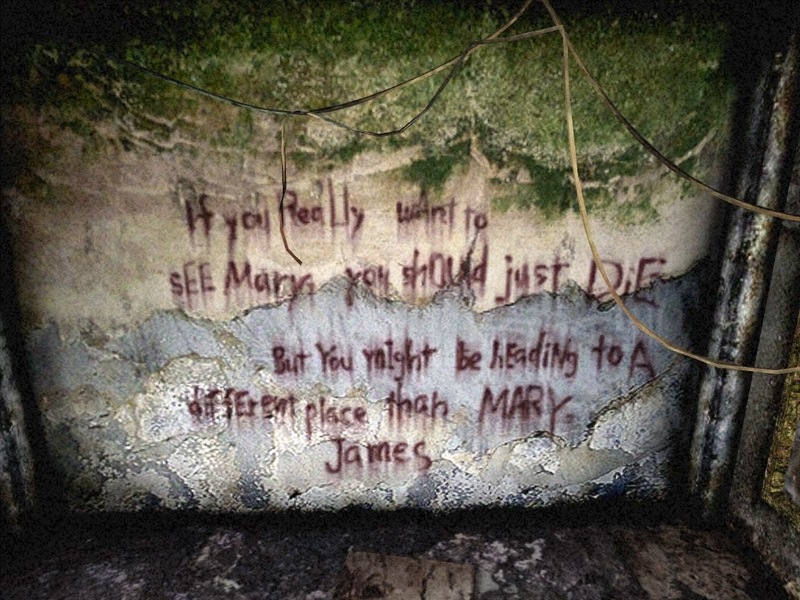 When James finds Maria for the first time, she seems to demonstrate special pleasure in assuring herself that in fact she does look like Mary and that she doesn’t look like a ghost. Besides that, she seems to lead James into questioning what the special place of his really his, and induces in him the memory of the videotape. I assume that certain people will point out the next scene has a counter argument to the possibility of characters being the same entity. In Pete’s Bowl-O-Rama we see two of the secondary characters in the same place at the same time, interacting with each other. If they all where the same entity then it would be impossible for this to happen. I don’t agree. 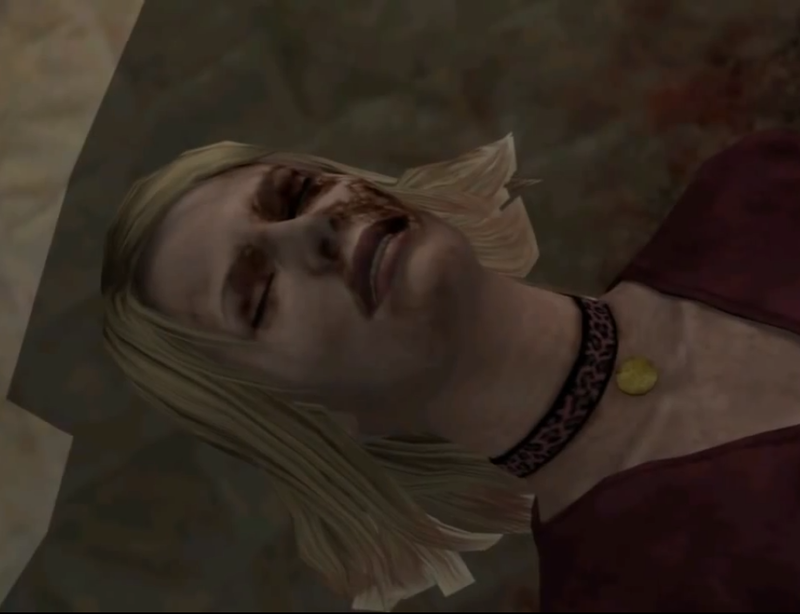 I must bring up the fact that near the end of the game, James must face not one but two Red Pyramid Things at the same time, while before that seeing another illusion – Maria, being killed once again. The quantity of manifestations present at one certain place doesn’t really matter because they are NOT the entity in itself. They are creations of the Crimson One which where based upon the subconscious of James. What I mean to say is that for example if it was necessary there could exist millions of Red Pyramid Things simultaneously at the same place and even then it wouldn’t mean that there are various similar divine entities. Besides that, how could Eddie be eating pizza if he wasn’t a kind of paranormal manifestation? 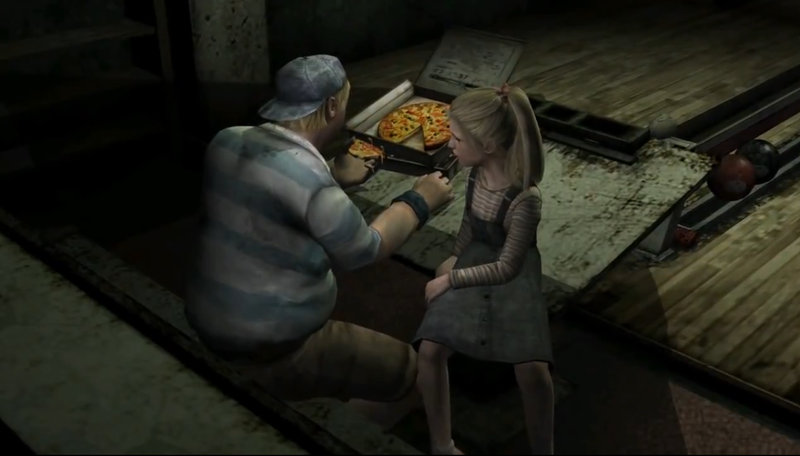 After all it seems unlikely that there’s a pizza delivery service in Silent Hill or on the nearby towns that are many miles away from it. Before entering Heaven’s Night, Maria seems to purposely exploit James’s the sexual fantasies. 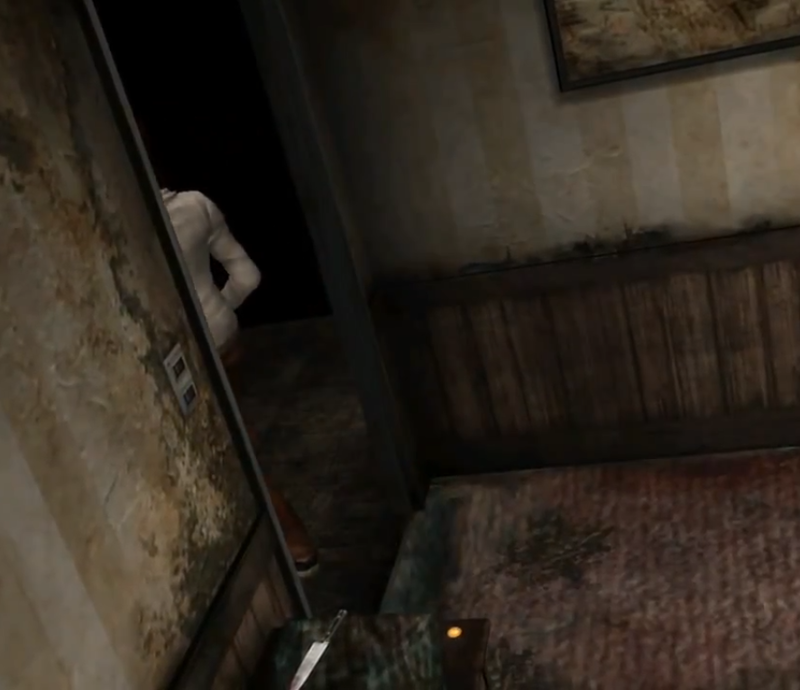 In the Brookhaven Hospital, Maria decides to rest on a bed inside one of the rooms. Near that bed, on top of a commode there’s a key to the roof. Notice how there’s a red smudge below it. 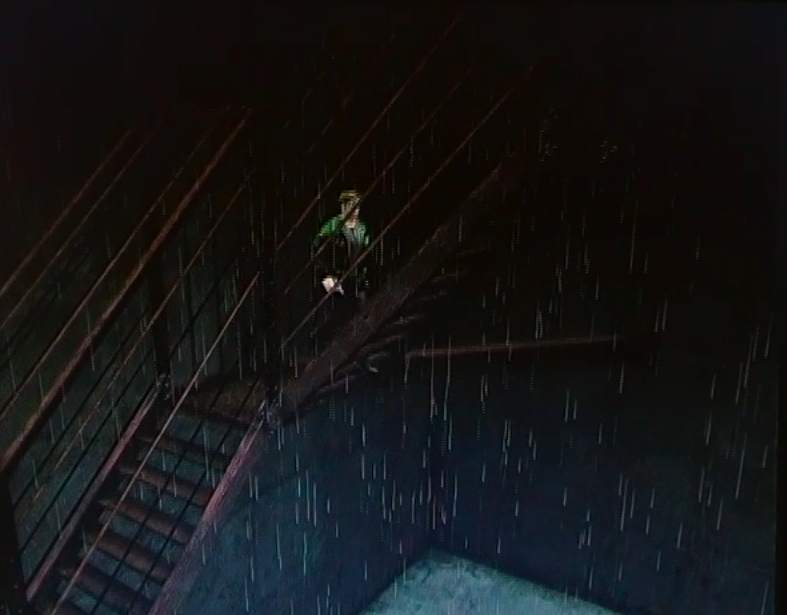 On the roof itself, James is surprised by the Red Pyramid Thing that pushes him down, allowing him to have access to an area that was previously blocked of. We understand through his satisfied pose that this was precisely his intention and not the one of killing James. We see once again RPT as a savior and not as a punisher. Precisely. Laura isn’t in any danger at all because she is the Crimson One, and not because of her "innocence". In the next scene, Laura convinces James that she forgot a letter from Mary inside one of the rooms. She does this on purpose so that she can lock James inside of that room, where he will fight three Flesh Lips. I advocate that she intended him to fight them because of what they represent. This will be further discussed on the next chapter. 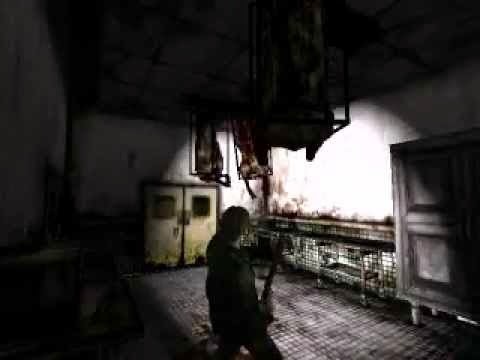 When James finds Maria in the basement of the hospital, she appears to feel genuinely upset for him not showing true joy from seeing her still alive. 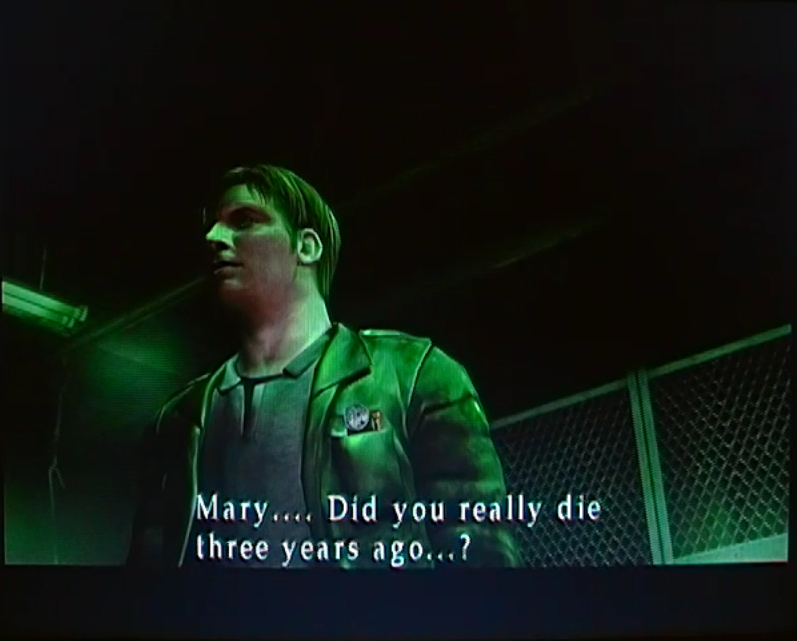 What this scene establishes is that Maria exists in the beginning of SH2 not to makes James think she is Mary reincarnated, but with the intent of substituting Mary. She is upset because this plan isn’t working out. Has we can see from her body language, her emotions aren’t genuine and all the fake crying serves to make James feel protective of her. 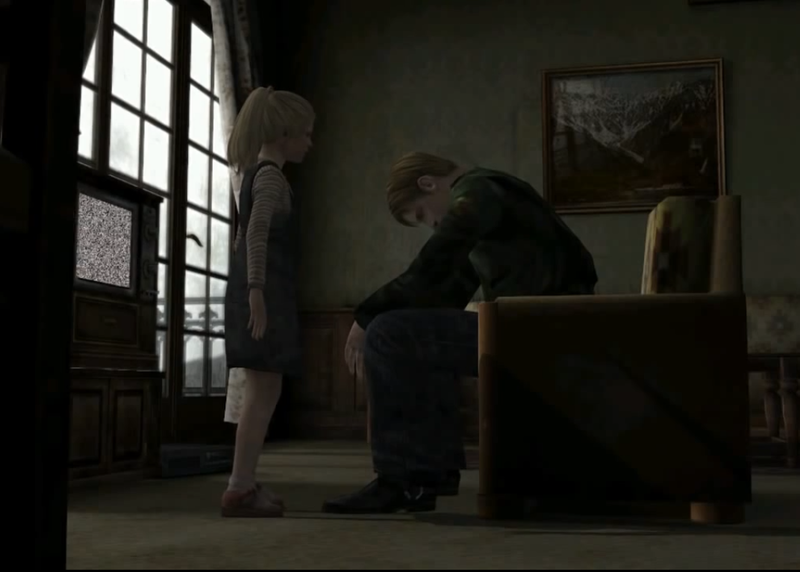 Besides that, Maria says that James is supposed to protect her, something that was never agreed upon between them two. 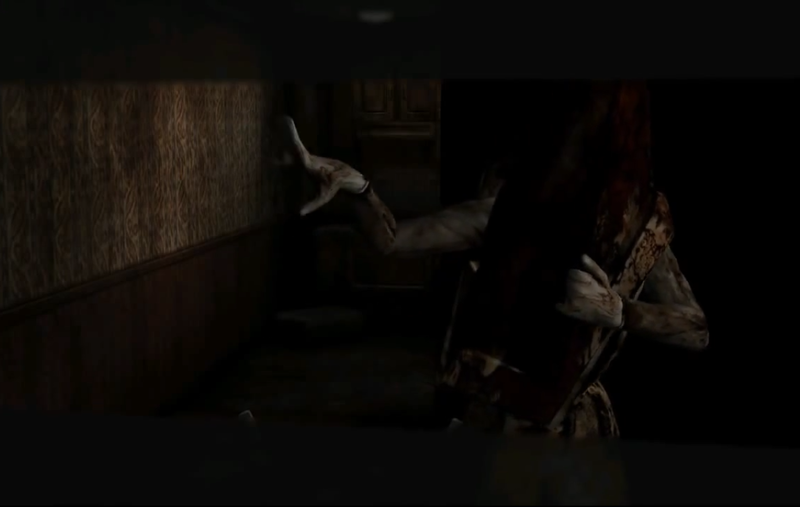 Later on, in the long hallway, we see Maria being killed by a Red Pyramid Thing. Here, the Crimson One decides to start a new approach – make James face the death of his ex-wife by killing Maria over and over again. 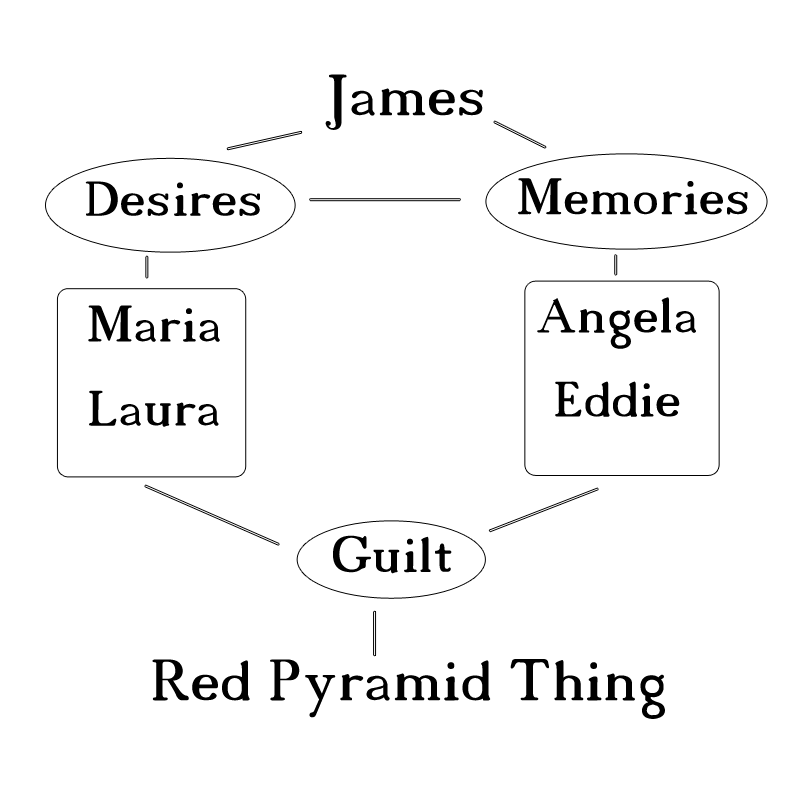 Here the plan changes from making James find another woman to face the fact that his wife is dead because of him. James finds Eddie in the Toluca Prison and he eludes James into thinking about the possibility of killing a person not being a big deal, but without success. James reprehends his way of thinking immediately. After transmitting this idea, Eddie leaves the room into another place without much explanation to why. This is because the idea of Eddie being there in the first place was to make James think about his crime in a different manner. When James finds Maria again, resurrected, she is in a room waiting for him, behind bars typically found in prisons. The presence of this division alone his quite weird, but the entire Labyrinth level is. This is a very important scene because it is here that the true nature of Maria is revealed to the player. I am, if you want me to be. It doesn’t matter who I am. I’m here for you James. (Touches his face) See? I’m real. If we keep in mind that Maria is a creation of the Crimson One, we can understand that the purpose of this conversation is to make James believe that she is Mary reincarnated, so that when she dies again, James feels guilty again and faces the truth about his crime. 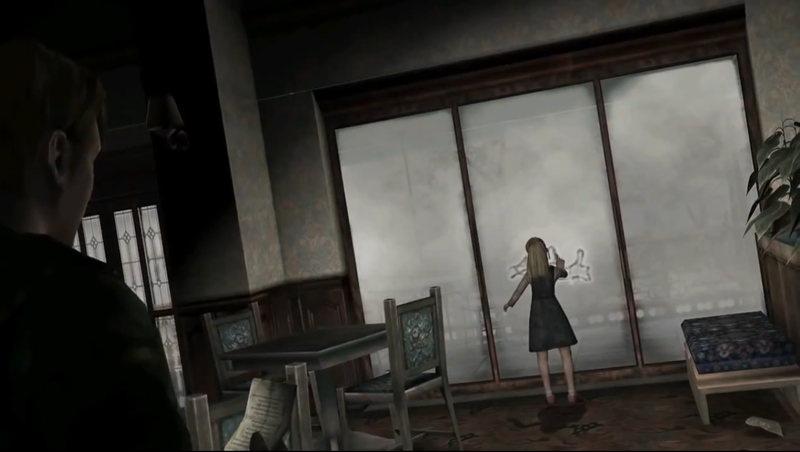 The presence of the steel bars serves the purpose of forcing James out of the room so that she dies when he is not there, giving the impression that she was killed because of that, making James feel guilty again. The fight against the Abstract Daddy is particularly curious. 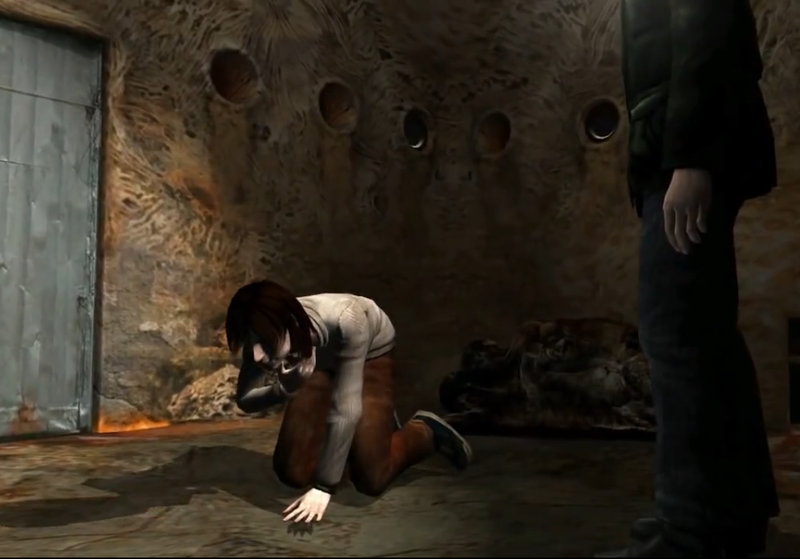 Has we will find out on the next chapter it represents James facing a childhood trauma. 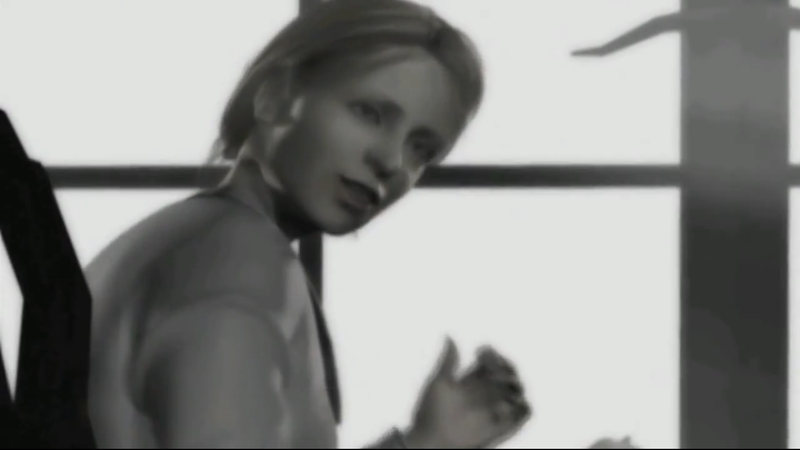 But what is more curious is the dialog between James and Angela after the fight. When James asks her to relax, she furiously tells him not to bark orders at her. Then she suggests that James is always only after one thing – having sexual relation. Even so, she suggests that he can always force her like ‘he’ always did. She then proceeds to kneel on the floor crying in disgust and implies vomiting but we can’t see anything of it. It’s interesting to notice her body language. She looks really upset but then she looks at James with a completely different expression for a couple of seconds before returning to crying and ‘vomiting’. This suggests that what she is actually doing is an act, to make James sympathize with her, like Maria did previously on the hospital for example. When James tries to comfort her, she automatically stops the theater she was doing and confronts James with Mary’s death. Angela calls him a liar when he says that Mary died because she was sick and also says that in all reality he didn’t want her around and probably found another woman. Then, she exists the room and leaves James reflecting upon that subject. If Angela was not a paranormal entity, she would not have any way of knowing about the nature of Mary’s death. Upon returning to the room where Maria was locked up, James finds her dead body over the bed. 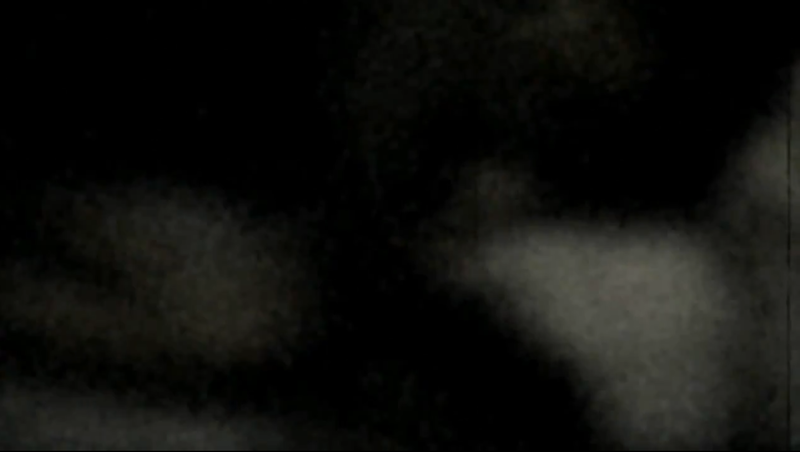 The camera pans to the face of Maria revealing a horrible wound that seems to have been caused by a burn. This sort of wound is reminiscent of the wounds Mary has on her face during the final stages of her disease. 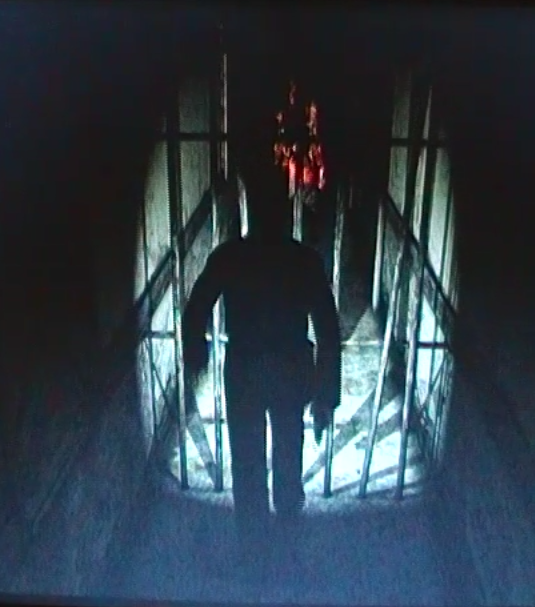 After jumping into an open grave with his name, James is transported back to the Toluca Prison, but this time appears inside of a refrigerating chamber where he will have to fight Eddie. Eddie tells James that from that moment onward he will not allow anybody else to make fun of him, and if they do, he will kill them. James asks if he has gone nuts and Eddie takes that as an insult, deciding for that reason to kill James too. 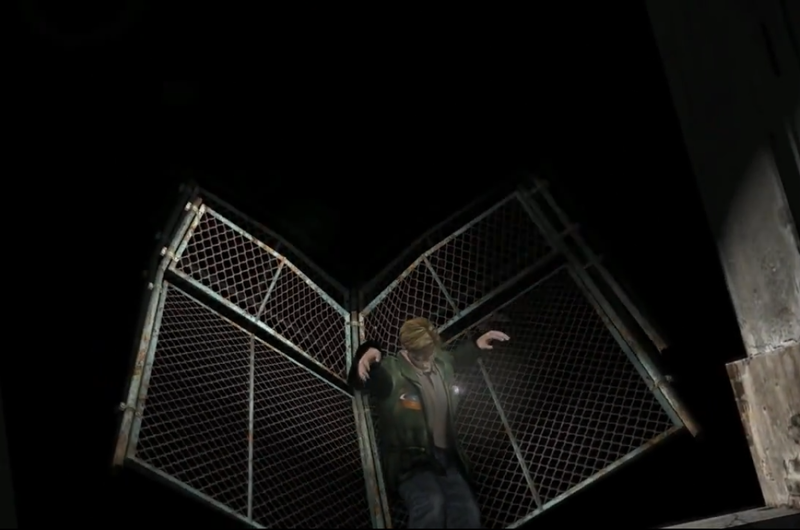 After a brief fight, Eddie runs to another division of the chamber. On the other side we can find a lot of hanging carcasses, that have a kind of tissue covering the place where the head of the animal would be. Some people interpret these tissues has being jeans that where put over the carcasses so that they would look more like Eddie. This proposal is ridiculous because these tissues don’t look anything like jeans except for their color. 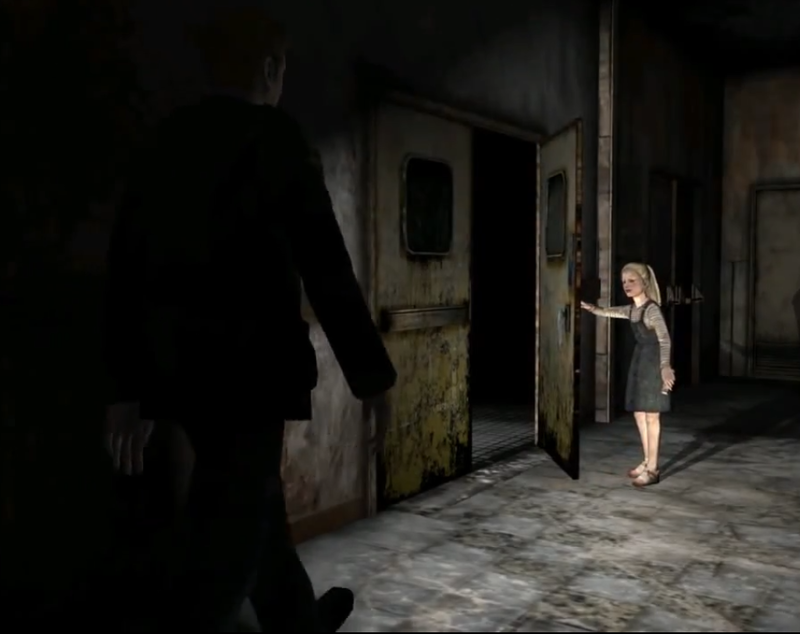 We can understand that it is instead a subtle way of telling the player that the identity of one of the individuals present in this scene is being omitted. In this case it’s Eddie who is not what he appears to be. Notice how when James enters the room Eddie is hiding somewhere. The camera pans around James while Eddie talks like if it was searching for him. 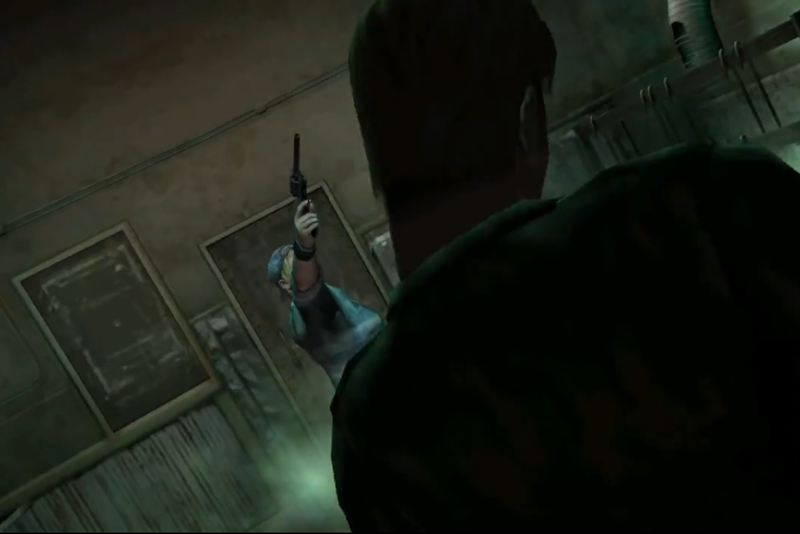 After Eddie once again decides to kill James, he appears from nowhere. This makes the player associate the dead carcasses with him. The idea behind this fight is to make James kill another human being, in order to make him remember that in the past he already killed another human being – is wife Mary. This plan is well succeeded since after killing Eddie, James asks himself if Mary really died three years ago. In the next encounter with the Crimson One, he’s in the shape of Laura. Laura asks James if he already found Mary, because she is tired of walking. This could be a humorous reference to the number of times the Crimson One already tried to make James understand the truth. Laura then says that Mary certainly must be in that hotel because that’s what she gave to understand in one of the letters she wrote. After that she proceeds to come up with the fact that Mary wrote another letter but she must of lost it somewhere. Notice how this is the same technique that Laura used in the hospital in order to make James fight three Flesh Lips, and now it’s using it again in order to make him feel like he hasn’t discovered everything yet. The videotape in itself is only a vehicle through which the Crimson One shows the truth to James in a very direct way. Notice how the video in itself runs normally until from nowhere it starts to emit static that gives place to a different video in which we see James killing Mary with a pillow. The video ends in static. I advocate that there never was any video at all in that videotape. 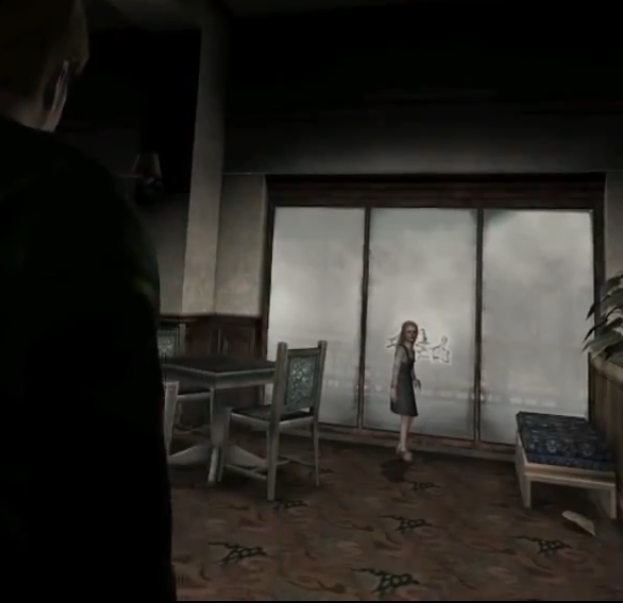 Laura enters the room right after the video ends and asks James if he already found Mary. The idea is to insure that James finally understood the truth. James tells her that Mary is dead because he killed her. Laura then proceeds to judge James’s actions by insulting him and asking why he did it since Mary was always waiting for him. James simply says that he’s sorry. Laura exits the room without saying a word. Moments later James’s radio starts to receive some frequencies through which the voice of Mary can be heard calling for him. 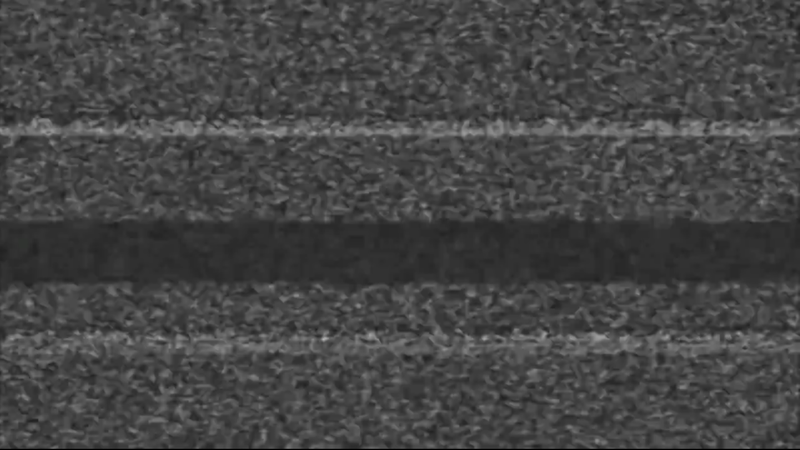 The audio static can be compared to the static of the television creating a parallel between the two and revealing that both are paranormal events. 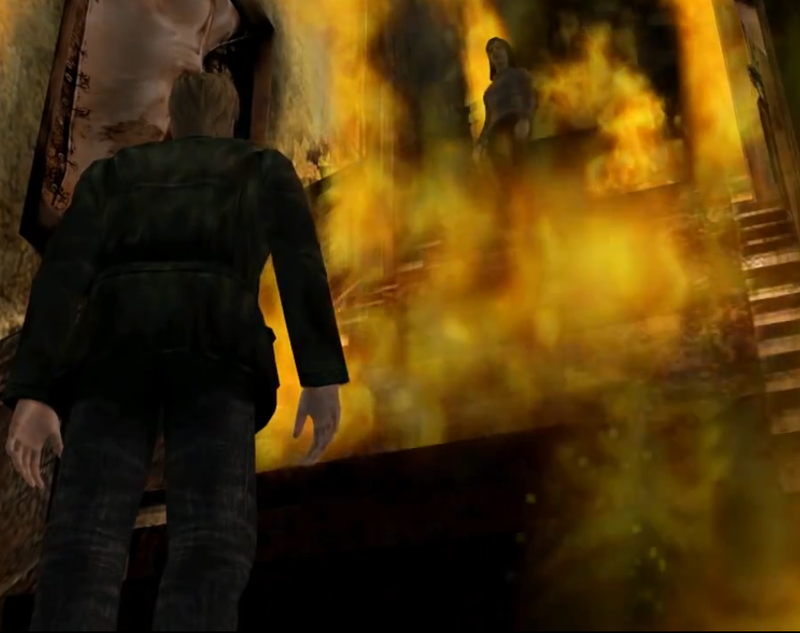 When James finds Angela for the last time, she’s in a long stairway, surrounded by fire. When James comments upon the fact that it’s pretty hot in there, she responds that for her it’s always like that. The argument that is normally presented when it comes to why the stairs are burning is that because Angela was raped various times as a child she feels a disconnection with the world around her, and the fire is representative of that. While one could see how that makes a little sense I don’t think that’s the correct explanation. Did Angela even referred herself to the fire when she said that for her it was always like that? Notice how James is surprised that that room is pretty hot and only because of that he comments upon that fact. Perhaps both of them don’t see the fire. The fact that Angela isn’t damaged by it must also be taken into consideration, and her supposed suicide by immolation is only implied. Instead I believe because there was a fire in the Lakeview Hotel this is only a transitional phase between the hotel past to the hotel present. Notice how the hotel slowly changes its aspect from the moment where James sees the videotape onward. 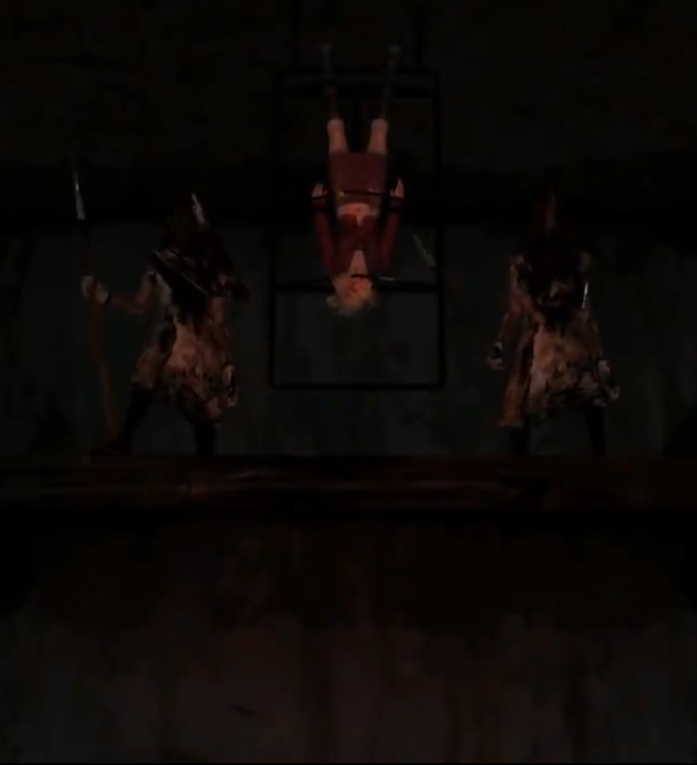 After that James will find Maria again but this time she’s hanging upside down, and with two Red Pyramid Things one on her left side and other on her right side. James begs them to leave both him and Maria alone but their idea is precisely to kill Maria again. Notice the subtle tone change from red tones to natural ones. This again implies that all those three characters are one and the same. After Maria dies again, James finally understands that he only needed the Red Pyramid Things because he was weak and needed someone to punish him for his sins. He then decides to fight them. 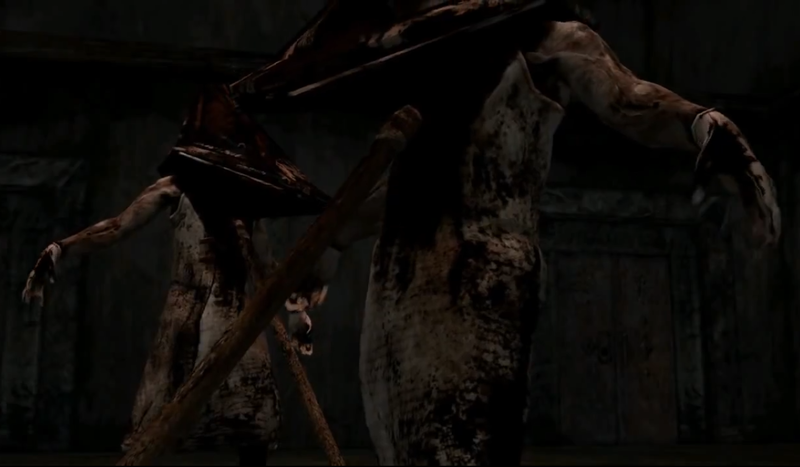 After James inflicts enough damage to both of them, the Red Pyramid Things commit suicide by thrusting their heads against the spears. The idea behind this fight was to make sure that James wanted to continue living after having discovered is horrible crimes. 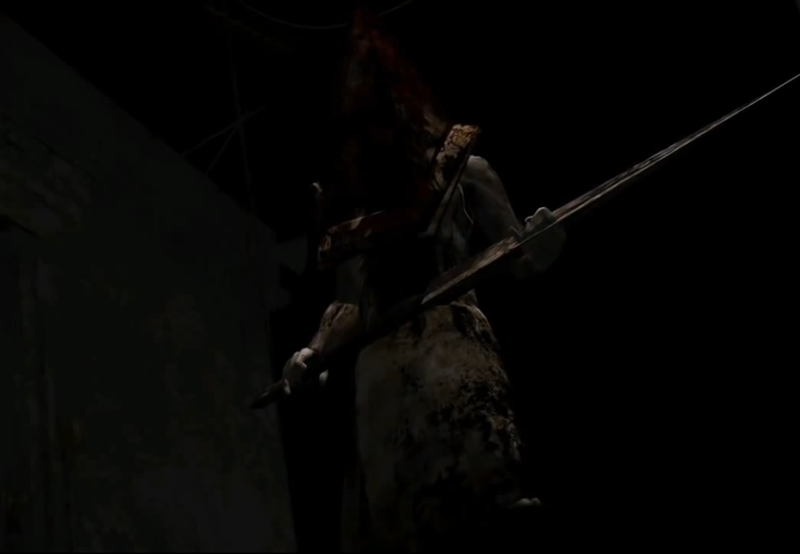 Why are there two Red Pyramid Things in this fight, and not only one? Because both of them represent a different aspect of James subconscious that where chosen to resolve his internal conflict – his memories and his desires. The two eggs that the player can collect from them further represent this same thing, being the Rusted Egg the memories and the Scarlet Egg the desires. Besides that, a red egg is commonly a Christian symbol of rebirth. 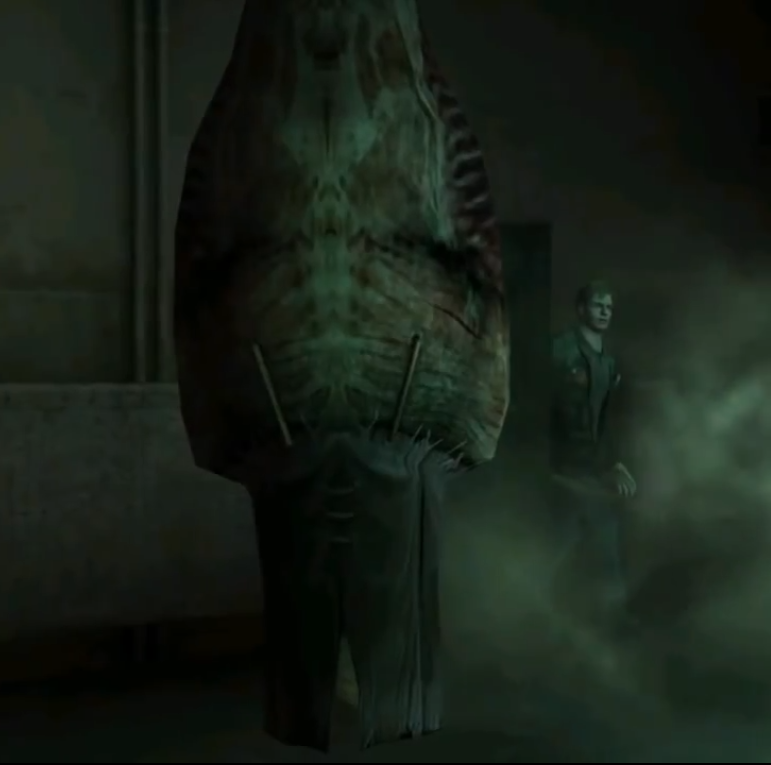 Have in mind that even though they physically die, the entity that controls them and all the other supernatural aspects of Silent Hill still exists. 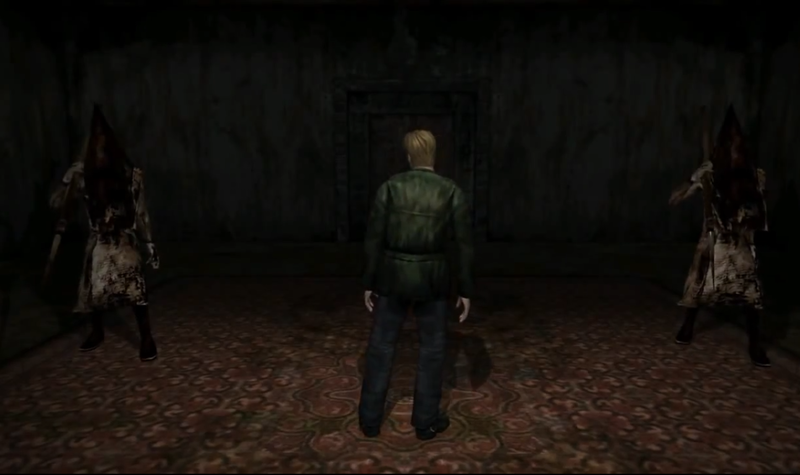 As we can see, after this fight the Crimson’s influence is still present, making the influence of the hotel past vanish even more and by creating logically impossible spaces, like the long corridor in which James remembers how Mary would sometimes mistreat him verbally. We can even argue that the entire last level doesn’t even take place in the hotel but in an entirely different place specially created for the final encounter. Notice how James has to climb various illogical flights of stairs and that the roof of the hotel looks more like the interior of a hospital. 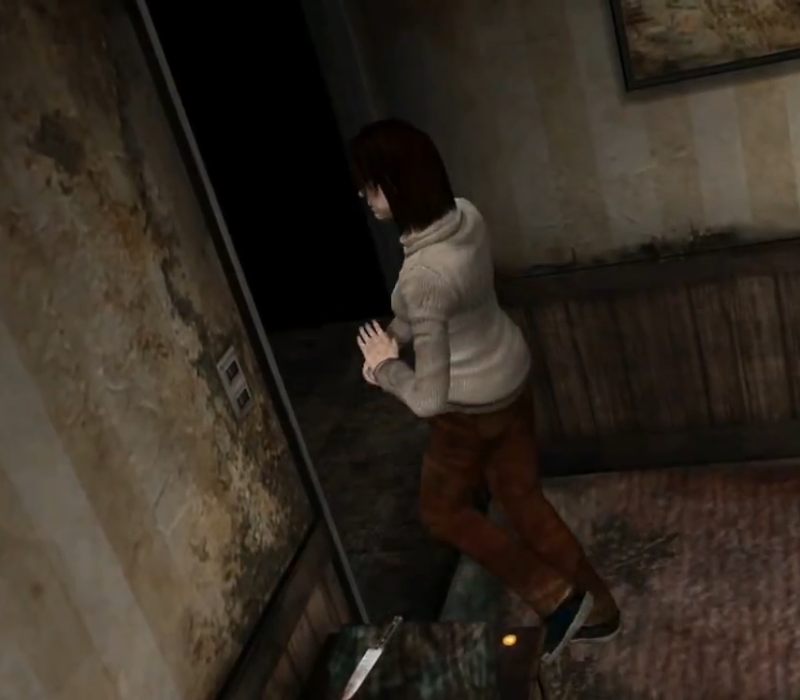 The last fight is against Maria in the physical form of Mary, or against Mary herself depending on the ending that the player will get. Have in mind that in any of the cases this is Mary in fact but the Crimson One making is final test. 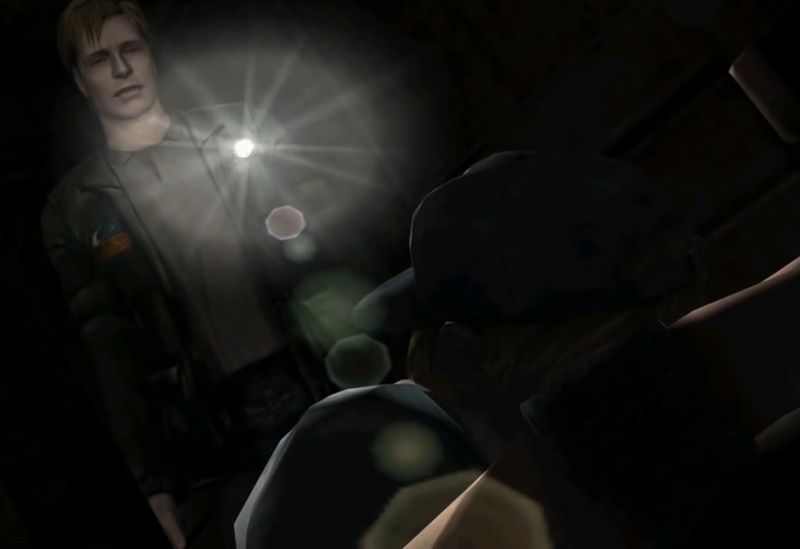 One more thing before moving on to the next chapter, have you noticed that James’s flashlight produces a spotlight effect similar to those in theaters when some cutscenes are running? This is a direct metaphor to the fact that all what the secondary characters are saying is an act, like if they were actors in a play. Now that we concluded who the secondary characters really are, let’s analyze James Sunderland himself.